We also carry a full line of Eggcessories! From standard grilling tools and brushes to deep dish pizza stones and wifi smoker controllers! 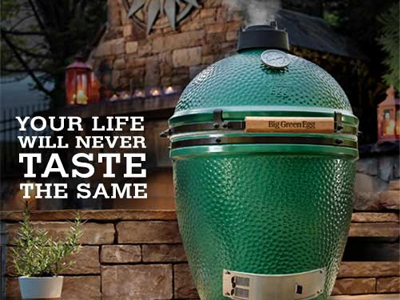 We have everything you need to make your Big Green Egg experience exactly what you want it to be! Please visit our store to see the wide variety of Egg sizes and accessories we keep in stock. Our knowledgeable and courteous staff will be happy to show you just how easy a Big Green Egg is to use!